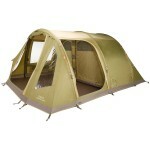 The Khyam Freelander Tent is the only Flexidome tent in the Khyam range with stand-up head height in the living area of the tent. The rear bedroom sleeps up to 3 people and the large domed living area measures a generous 260x240cm making this tent ideal for couples or small families wanting short stays and weekend getaways. 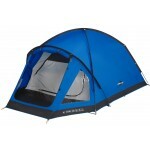 This quick-erect tent features Khyam's unique Rapidex pole system - all of the dome poles are connected to a central 'hub' and are simply 'clicked' into place in a matter of seconds. There's a separate pole to create the elongated bedroom area at the rear. 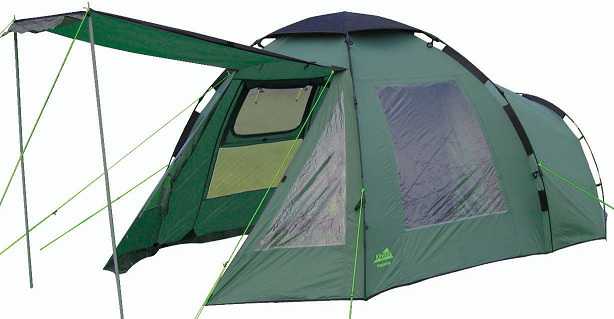 The Khyam Highlander sleeping area features a highly breathable polyester inner tent that has its own lightweight polyester groundsheet. Outside the bedroom, the living area features multiple windows that let in plenty of daylight and they all feature internal curtains so that you can regulate daylight/privacy levels. The flysheet of the Khyam Highlander is made with Khyam's own WeatherWeave Pro polyester with taped seams and a double coating of tough polyurethane for excellent hydrostatic performance. The Rapidex frame is solid fibreglass with strong, hard wearing nylon auto joints. 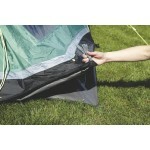 Once you have grasped the technique of erecting this tent you can literally erect it in 30 seconds. 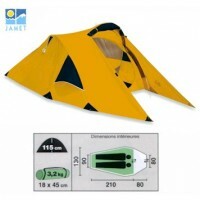 The optional extras available with this tent include a footprint groundsheet which will provide protection to the inner tent groundsheet and add a groundsheet covering for the living area. There's also a Storm Kit available to provide extra ground anchoring in windy conditions plus the Freelander canopy that will protect your front door from the worst of the elements.